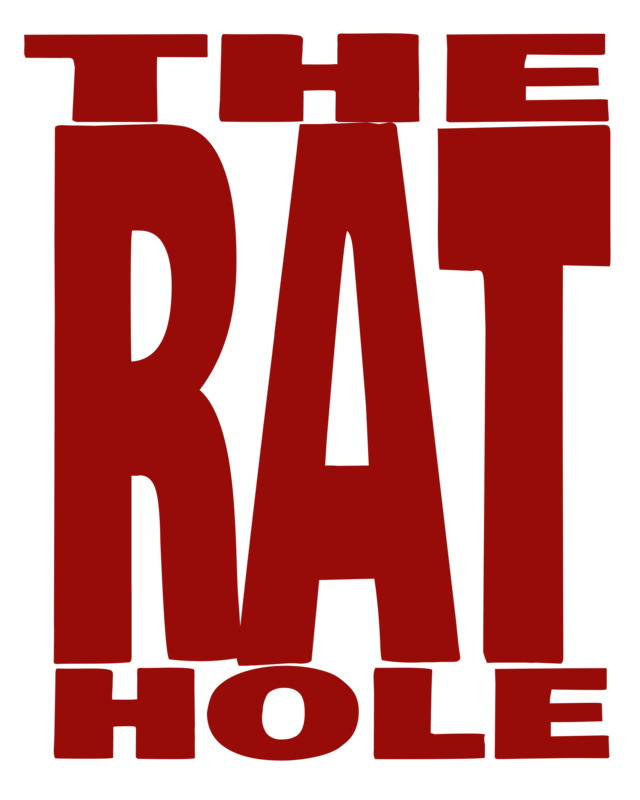 There were two things that attracted me when I saw this game in the store. First, it’s an absolutely beautiful game, both the box and the game pieces inside. Second, it’s specifically a game for two people. I often have problems getting a multi-player game session organized, so it’s nice to have a two player game available. But if you decide you like Kodama, and you wish you could have the full version, you don’t have to feel bad about buying the same game twice. Because Kodama Duo includes directions for how to use the cards to add an extra player to Kodama: Tree Spirits. In Kodama, you are a Forest Caretaker, it’s your job to ensure that the trees that grow become suitable homes for the Kodama, adorable little creatures that can have some very specific needs. Some of them like insects, mushrooms or flowers; others prefer clouds or starlight. There are a total of 6 “features” to keep track of: star, cloud, inchworm, firefly, mushroom and flower. 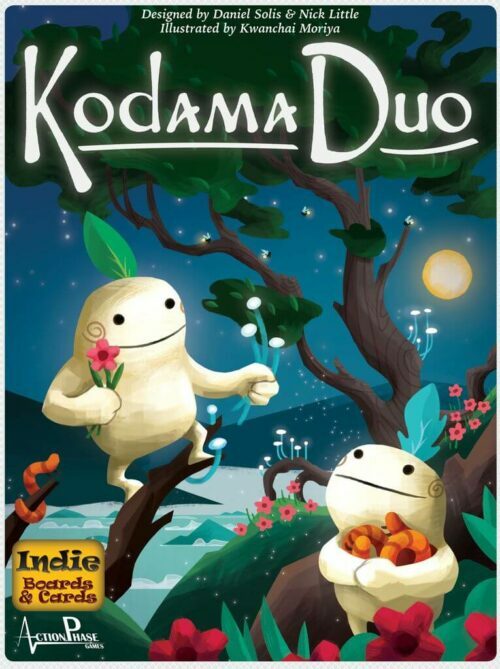 In Kodama Duo, each player begins by choosing a tree trunk, and placing the matching player token on the scoring track. The score board also marks the seasons (spring, summer and autumn) which are each divided into 4 turns. At the end of each season, your tree is judged against the wants of one of the 4 Kodama cards you are given at the start of the game. The final element that effects game play are the decrees. There is a decree chosen for each season, and it changes the rules for the duration of that season. You grow your tree by adding a new branch card every turn. On every turn, three cards are drawn divided between both players. One player is the “splitter”, dividing the cards into two piles. The other is the “chooser”, picking which pile they want. These roles alternate each turn, and there are Splitter and Chooser tokens to make it easier to keep track. Whoever takes the two card pile decides which card to add to their tree and which to discard. When you discard a card, your opponent takes a token matching one of the features on that card and adds it to their tree. There are only a limited number of tokens, so later in the game you can take a token off your opponent’s tree. There is an entire set of rules describing how you can and cannot add a branch to your tree. A new card must touch one (and only one) previous card in a way that looks like it is a growing branch. A branch cannot grow underground (no part of a card can be below the bottom edge of the trunk card). A new card cannot obscure any of the features of a previous card. Finally, you cannot place a card that would give you more than 10 points (not including bonus points from the decree card). After placing a branch, you score your turn. You can save time by having both players score at the same time. Starting from the card you placed this turn, pick a feature (for example mushrooms) and follow the branch back to the trunk. Count one point for every unbroken line of mushrooms. If even one card does not have the mushroom image (printed on the card or as a token), the scoring ends. Then count the next feature from the end card. The seasonal decree may offer bonus points. After 4 branches are played, the season ends. Choose one of your Kodama cards, and score your current tree against that card’s requirements. The season ends, a new decree is chosen, and the game continues. At the end of Autumn’s Kodama phase, the winner is the player with the highest score. There is a sense of balance in this game: if you split, I choose; if I discard a card, you get to take something from it. I also like the fact that, even though you are keeping score, there isn’t a strong feeling of competition. It’s a calm, relaxing game: bonsai with cards. On the other hand, the most important thing to know about this game is that you need a lot of space to play. A LOT of space. We played on an average coffee table and we barely had enough room for both trees, the decree card, and the tokens. We had to keep the scoreboard somewhere else. I watched a demonstration video for Kodama: Tree Spirits, and they needed a full sized poker table for everyone’s trees. But really, that is my only complaint. If you have a large table in your game room (or, in a pinch, your kitchen) and you are patient enough to learn the rules, this is a fun, but elegant, game to play. You can find more from Action Phase Games online at www.actionphasegames.com and Indie Games & Cards online at www.indieboardsandcards.com.